Best Cymbals For Beginners - How Much Should You Spend? Knowing how much to spend when searching for the best cymbals for beginners can be hard. Do you go cheap, or high-end for your drum set? I’ll guide you through everything you need to know when it comes to buying your first set of cymbals. 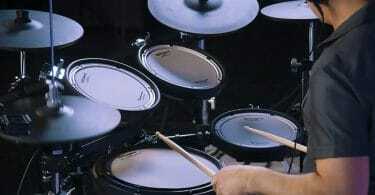 ​Search for the best cymbals for beginners can be tricky because everybody will have different tastes and opinions. How serious are you about drumming and how long do you think you’ll continue to pursue it? If you are a brand new drummer and are not sure if it’s something you’ll continue for years to come, then I’d suggest getting a cheap cymbal pack. Cheap doesn’t necessarily mean bad quality, however. There are some good choices out there that still sound good and there are other choices you should still try to avoid which I’ll go over. My overall top choice for best cymbal pack for the money is the Sabian BX8 Cymbal Pack. They are affordable, sound great, and are very durable. As a beginner with little experience behind the drum set, you probably don’t have a preference for sound characteristics and cymbal style. Jumping right into more expensive cymbals can be a bad thing because you might find out in a year or 2 that the sound isn’t quite what you want. Also your technique as a beginner might not be suitable for high-end cymbals which could lead to them breaking if not played right. Make sure to check out our article on cymbal placement if you are a complete beginner. If you know your heart is really in it and you want to pursue drumming long-term, I highly suggest spending a bit extra for higher-end cymbals - even if it’s just 1 or 2 to start out with. They will sound dramatically better and most importantly it will save you a ton of money in the future. You might pay less than half for a cheap cymbal compared to a high quality one, but if you decide to upgrade you’ll have spent 150% to get there. Cheap cymbals also have very little resale value so don’t expect to get a nice return on it when you decide to trade it in. So figure out which of these 2 sections you fall into and that should help you make a better purchasing decision. Even as a beginner, you are going to want to stay far away from brass cymbals. They aren’t going to have the tone, sustain, or playability needed for any style of music. Usually you’ll see them come coupled with cheap drum sets, but these should be replaced as soon as possible with some quality Bronze cymbals. When it comes to bronze you’ll see B20 and B8 alloys. B20 is a bronze alloy with a tin content of 20%. These produce a warm, soft sound, while B8 being made of only 8% tin produces a more clear and bright sound. The Sabian B8X Cymbal series is by far the best value for the money when it comes to good cheap beginner cymbals. Though not perfect, they blow most other entry-level cymbals out of the water. They project well, are bright sounding, and fit in with almost every style of music. Despite sounding bright, these cymbals don’t sound overly harsh when you really lay into them. The ride cymbal is especially great. It has a nice bright ping that cuts through, and it has a really great wash for those heavy chorus moments. 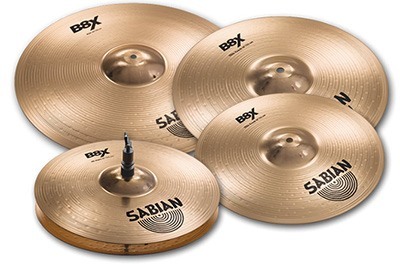 If you are looking for a low-cost set of cymbals to start out with and later replace, the Sabian B8X Pack gets my vote for best cymbals for beginners and best budget cymbal pack. Cymbals can be expensive. 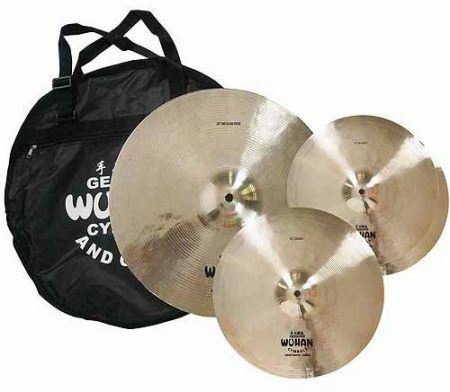 Luckily Wuhan is looking out for your wallet by producing these great and affordable cymbals. They are trying to compete with the big guys in the market, but instead Wuhan is looking to provide high quality budget cymbals. All of their cymbals are made of high-quality cast B20 alloy and are handcrafted in China according to two-thousand-year-old traditional methods. There are actually some high profile drummers who use Wuhan in their setups including Neil Peart, Jeff Hamilton, Chad Sexton, Mike Terrana and many more. Though not as good sounding as Sabian B8X cymbals to my ears, these are a great alternative. 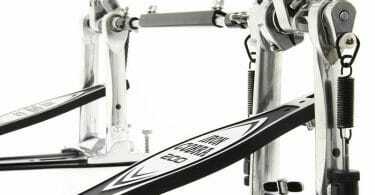 If you know that drumming is your thing and you are going to stick with it, you are going to want to invest in some high quality cymbals from the start if you can afford it. You can change the sound of drums dramatically by changing heads, tuning, and dampening, however there isn’t much you can do to influence the sound of cymbals. Cheap cymbals will sound cheap, and expensive cymbals will sound great. Having great sounding cymbals will inspire you to play more and it will just be more fun in the long run. Since they can be a little pricey, I suggest sticking to the essentials. 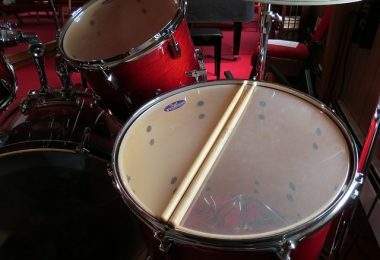 A ride, one or two crashes, and a pair of hi-hats should be all you need for the first few years of your drumming life. Investing in high-quality cymbals here will last you a lifetime if you play them with proper technique. You can always expand as needed in the future, but if you start with low quality cymbals they will almost certainly be replaced once you get sick of how bad they sound. It’s also worth noting that the cymbals listed below are all very high quality, highly respected, and great for any style of music you throw at them. Working right alongside legendary drummer Vinnie Colaiuta, Zildjian produced the first A Custom cymbals around 2004 and they’ve been in the hands of countless iconic drummers all over the world since then. 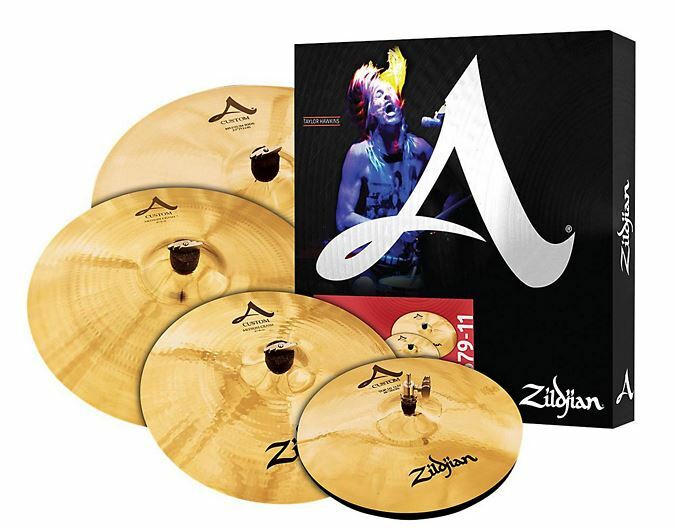 The A Custom series can be thought of as a brighter and warmer sounding version of Zildjians classic A series cymbals. They’ve also been described as smoother and more glassy, and they come in a brilliant smooth finish. Zildjian cymbals are some of the best you can get, and a lot of this is due to the fact that they’ve been doing it for a long time. In fact, Zildjian is actually the oldest family-owned business in American history, having begun in 1623 before America even existed. Avedis Zildjian I (the first) was an Armenian alchemist in the city of Constantinople. When trying to make gold, he stumbled upon a specific mixture of metals that had unique sound characteristics. He was then invited to live at the palace to make cymbals for a living. He was then granted permission to leave and start his own company which he named after the nickname he was given, “Zildjian”. His legacy continued to be passed down through his family until they eventually made their way to America. Zildjian A series cymbals have a traditional finish to them and have more of an old-school standard cymbal sound compared to the newer A Custom. 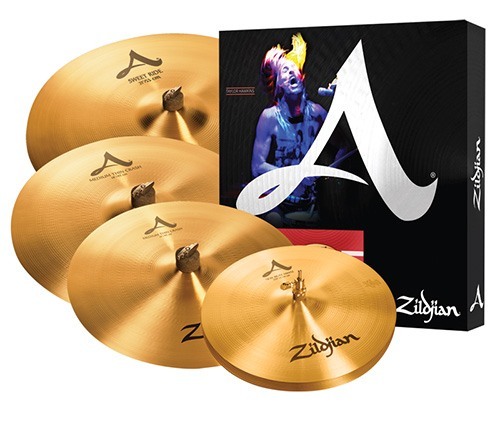 They are one of Zildjians best-selling lineups and for good reason - they sound incredible and are very versatile. If you don’t want a cymbal that’s too bright or glassy then the A series is for you. Dave Weckl needs little introduction. He’s one of the most iconic and influential jazz fusion drummers of all time, having played with many great musicians and being included in the Modern Drummer Hall of Fame. In 2001 Weckl teamed up with Sabian to expand upon the HHX line of cymbals and create something custom. This series is known as HHX Evolution and it features the exact sounds that he had in mind. Weckl wanted to create the most consistent cymbals ever made, and he wanted them to have no resistance while at the same time playing bright, airy, and atmospheric. There are no weight constraints here (thin, medium, heavy). Instead, Dave spent countless hours going through a variety of prototypes until he was happy with each and every cymbal. The result is a beautiful line of cymbals that can last a lifetime and are suitable for every style of music. 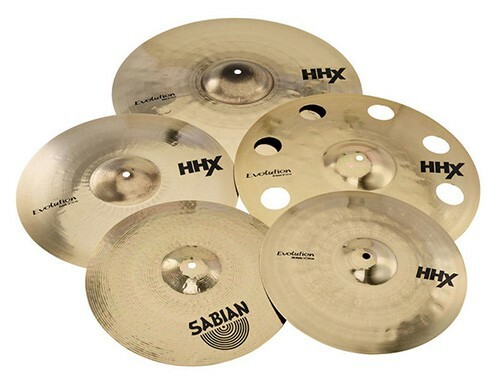 I would say the Sabian HHX Evolution series is similar to the Zildjian A Custom line though a little less shimmery, a little darker, and a bit more sensitive to the touch. If you are looking for the cheapest set of cymbals you can find that don’t sound absolutely terrible and won’t break on you, the Sabian B8X series is the way to go. You’ll eventually want to upgrade if you decide to get serious and move up to higher end gear, but for people just starting out I’d say these are the best cymbals for beginners. If you are just starting out but want to invest in your future and save a bit of money in the long run, I think it’s worth shelling out for the higher-end Zildjian or Sabian cymbals. If you want a nice bright sound go with the A Custom or HHX Evolution, but if you think you want a little bit or a darker sound the Zildjian A series will suit you well for many years to come.